Sinobaler's Manual Strapping Tool is a device used to join PET/PP Straps with buckles manually. 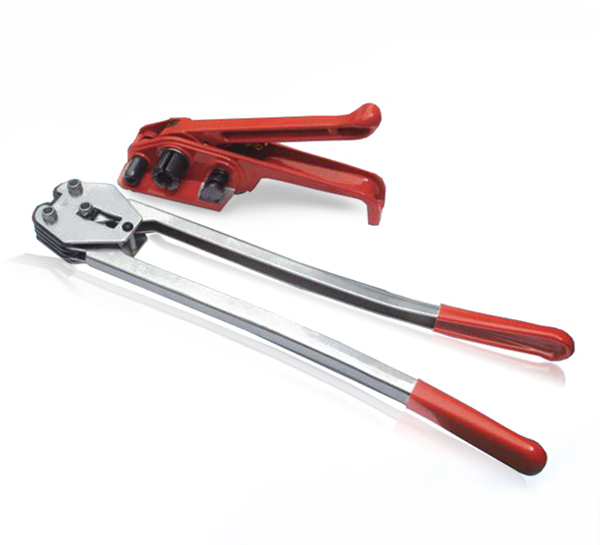 The Manual Strapping Tool is composed of two parts; a clamp and a strainer. The Manual Strapping Tool is used for the same purposes as a pneumatic or electric strapping tool, but as it is manually-powered it can be considered as a more economical alternative. Contact us today for your Manual Strapping Tools needs and one of our professional representatives will answer all of your questions.